When LG wants to prove a point, apparently the electronics company does it with a wicked sense of humor. They wanted to show off how realistic the picture is on their IPS monitors, so they went to an office building and replaced the floor of an elevator with nine of those monitors. When a passenger stepped into the elevator, the lights flickered and speakers played sounds that indicated the elevator was breaking apart. The monitors on the floor then showed graphics that made it look like the floor panels were falling down into the elevator shaft. 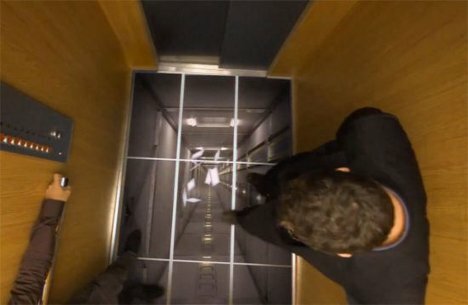 The elevator passengers, filmed by a hidden camera, were understandably (and hilariously) terrified. At least one tried to escape immediately, and we can’t say we would have reacted any differently.